It doesn't seem possible that August is just around the corner, but I just looked at a calendar. It is true. Teachers and librarians are starting to discuss books that they will share and read aloud during the first week of school. 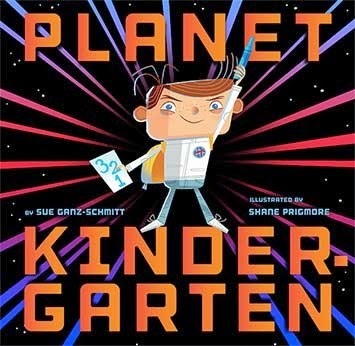 I'm throwing Sue Ganz-Schmitt's Planet Kindergarten into the back-to-school book lists conversation. Sue dropped by Watch.Connect. Read. to chat with me about Planet Kindergarten, musicals, picture books, and school libraries. I wrote the words in red, and she wrote the words in black. Thank you, Sue! Planet Kindergarten is a giant leap for kindergarten-kind. Young explorers boldly go where they have never gone before. Our hero navigates the unknown reaches and alien inhabitants of this strange new world. 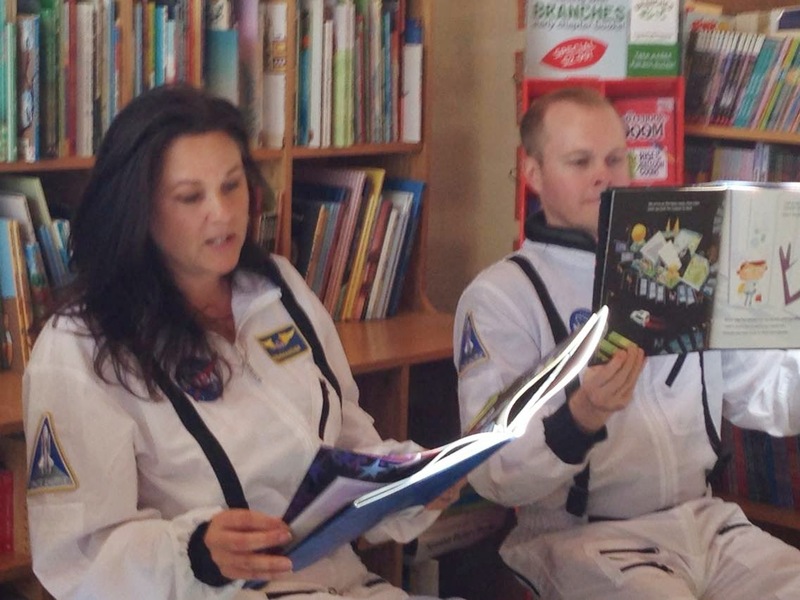 This story will have new kindergartners ready for liftoff! Shane Prigmore’s illustrations will make this book a classic. They are timeless. clever, and truly out of this world. Shadowy parents let the hero own the story. There are alien classmates that will remind you of your all-time favorite out-of-this-world characters. The cafeteria style space food will have kids begging their earthling lunch ladies to update their menus, and there is a splashdown that will make NASA astronauts green with envy. Shane has animated nearly every Dreamworks movie you have heard of from Coraline to the Lego Movie and has won two Annie Awards (like the Oscars but for animation) for his brilliance. He knows what kids likes, and their shadowy parents too. When I was in kindergarten I loved story dictation time more than anything. I wrote my first space novel. It was epic. I produce children’s musical theater. I like to say yes to new opportunities Mr. Schu. Just like when you asked me to finish your sentences (quite an honor BTW). So when a friend asked me to help produce a Dr. Seuss musical called Seussical, I said yes, even though I had no idea what I was getting myself into. In Hollywood, they say never work with children or animals. Well I did. There was an elephant named Horton, a couple of birds- Mayzie and Gertrude, some wild monkeys and about one hundred kids. From casting all the way to closing night of the show I was swept away by the talents, focus, and confidence of these kids from Kindergarten through 6th grade. For seven years I have volunteered for the job. These kids – whom I wanted to help inspire – have inspired me to get over my own life-long stage fright, and I actually performed two songs on Broadway in RENT. I figured if they could get on stage so fearlessly so could I! School libraries are like the Starship Enterprise. They take kids to distant realms that can seem familiar and suddenly they know they are not alone out there. There are also new frontiers that are so unlike their own to explore and discover. A school library without a librarian is like the Enterprise without a captain to navigate the craft. They are so very important to the future of our kind. Reading is a portal. With a book you can travel light years away and be back in time for dinner. Picture books are able to inspire kids for a lifetime. My favorite book as a kid was The Carrot Seed by Ruth Krauss. It is about having a goal and being undeterred no matter what doubting voices you encounter along the way. 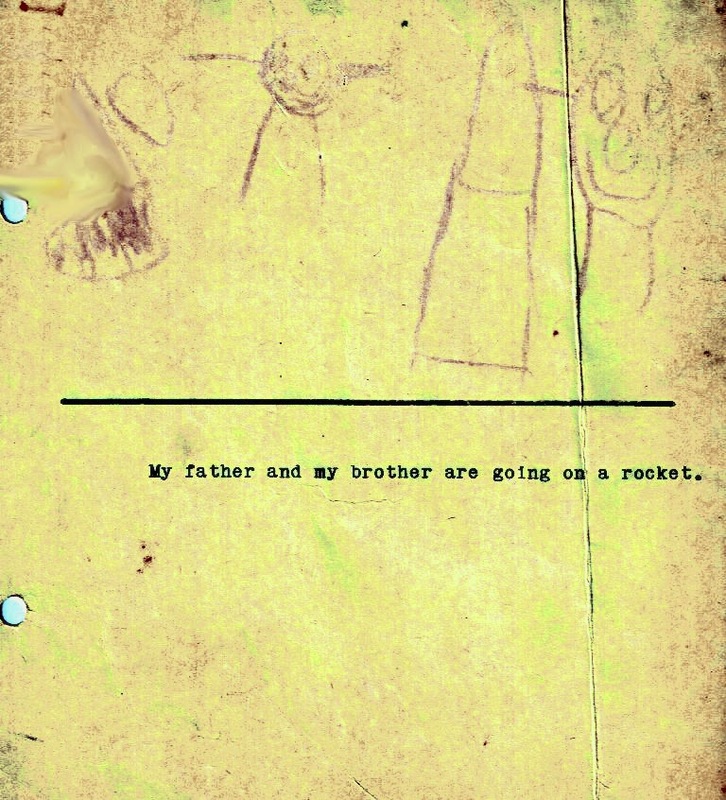 It was my dream when I was five to write books to help kids. It was a challenge to get here, but I had to press on no matter what. Besides helping kids learn to navigate kindergarten, I have written Even SuperheroesGet Diabetes, and The Princess and the Peanut: A Royally AllergicFairytale in order to help children understand their own and others' medical challenges. Mr. Schu, you should have asked me what it was like to be the first children’s book author in deep space. When you launch a new book, you have to be ready to go anywhere. so when NASA called for a mission I was ready. 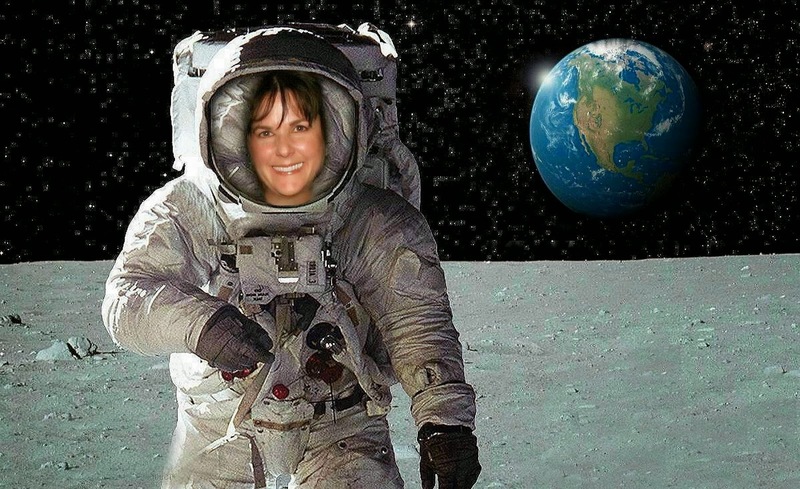 I already had the spacesuit, so I was a Schu-in. 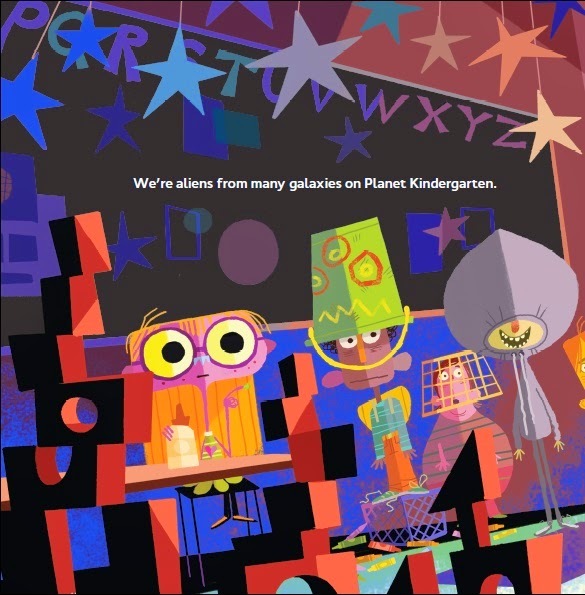 Borrow Planet Kindergarten from your school or public library. Whenever possible, please support independent bookshops. Author, What's Under Your Cape?